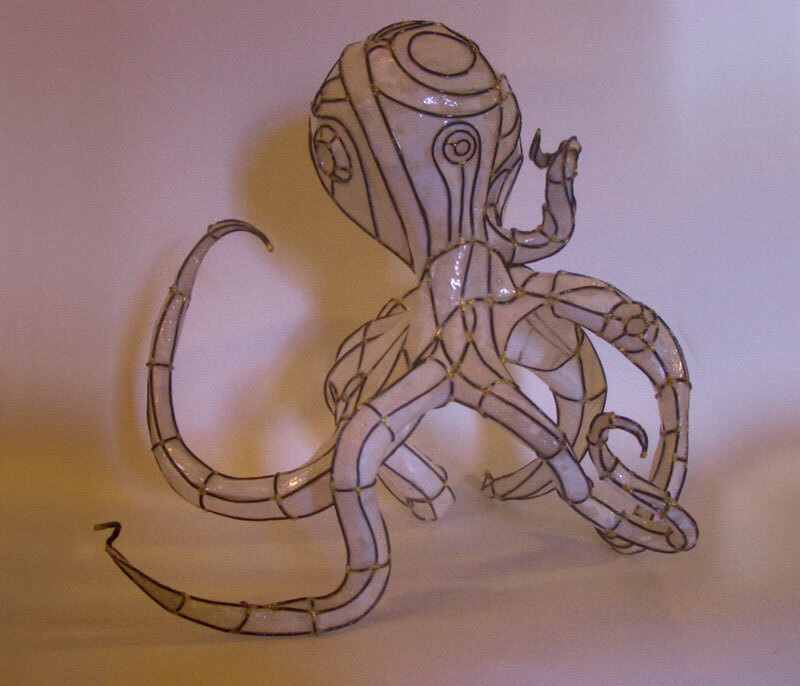 Title: Heptapuss Medium: Brazed Steel wire, Paper, Resin Date: 02/25/2010 Dimensions: 18” X 14” X 16” Description: Heptapuss is a wire and paper sculpture. 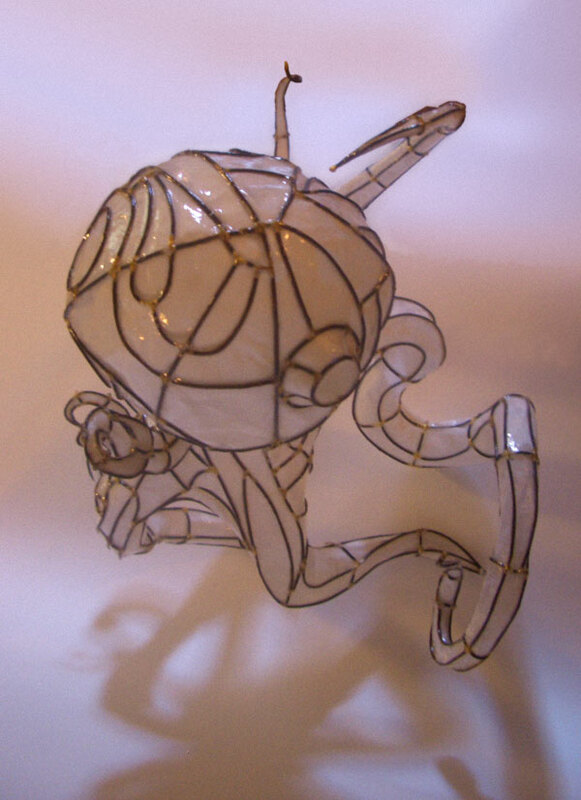 It was particularly difficult to construct as the paper was applied from the inside so that it's wire frame would be exposed. Each cell has an individual piece of mulberry paper cut to fit and then glued into place. 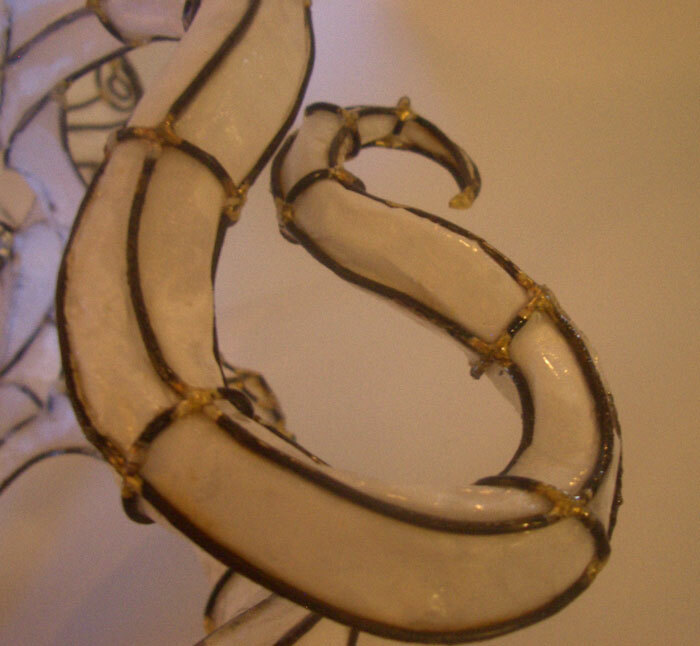 The entire sculpture is fixed with epoxy resin and coated with a UV resistant varnish. I have a particular attraction to sea life. As a small child I wanted to grow up to be Jacques Cousteau. Not a marine biologist like Jacques Cousteau, but the man himself. I collected national geographics from local thrift stores for the pictures of deep sea fishes and the marvel of coral reefs. As an adult I still am deeply fascinated by sea-creatures and have been known to buy whole fish at seafood counters just to examine them. I have been working on a concept for a show called the Beastarium. It would be a collection of imaginary creatures. 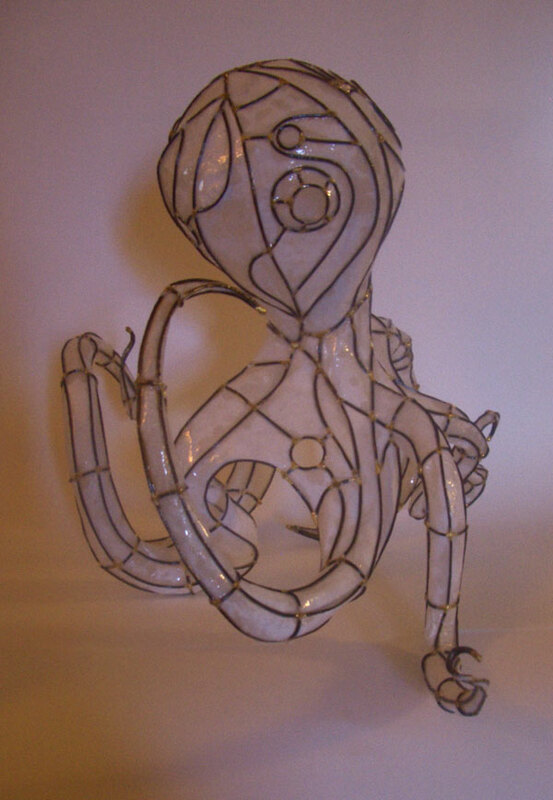 This was the first sculpture I made for it. I am still working on the concept and have built a few other pieces but this is by far my favorite.